The Nokia Lumia 520 is smartphone that operates on Windows, features two cameras (up to 5 megapixel), 1GHz dual processor and touchscreen that can be operated while wearing gloves, or with the tap of a fingernail. The phone comes in a range of colours, plus there are a number of ‘shells’ that can be popped onto the phone to change the colour of the back of the device. 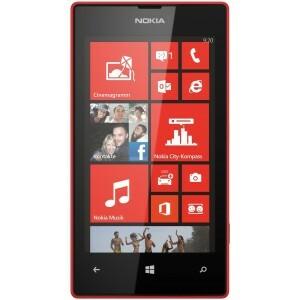 The Nokia Lumia 520 is a budget-friendly Windows phone, supporting Windows Phone 8 and boasting 5 megapixel cameras, free music access and navigation system built in. One of our testers was looking for cheap and sturdy phones for his children (older teenagers) and was interested in the Nokia Lumia 520, particularly as it is a Windows phone (one of the children was not excited by Android and our tester did not want to head into Apple territory!). Accordingly, our tester excitedly took the 520 home and handed it over to the child to try out. There was a lot of initial frustration as Windows insists on a Microsoft/ Windows email address being used and this needed to be set up, before any of the features could be tried out. After a few tears and a tantrum, the phone was set up and ready to use. Initially the child was delighted with it, accessing the free music and trying out the navigation system to find her friends’ houses. A few selfies and arty shots of the family pets showed the cameras to be of excellent quality, providing crisp, clear details, even when the photos were transferred to a larger screened device. However, the attraction did not last long, with the differences in accessing files and settings becoming more of a nuisance than an appeal, and the child stopped using the apps, reverting to another device for social media. The final straw was when she came home from school one day and the screen of the phone was found to be broken. Our tester was initially annoyed with his daughter, thinking that she must have dropped it, rather than believing her rather lame excuse that ‘someone must have pushed me against the wall or something’, until he had a look online and discovered that a lot of Nokia Lumia 520s unaccountably suffer from broken screens with ‘average’ usage… The total time the phone had been in use was less than one month.